Every Winter, I take advantage of the deals offered by Worcester Restaurant Week to get out and experience a local restaurant for the first time, a goal which is only made easier by the ever-expanding list of participating eateries. Making the decision of where to eat, on the other hand, is always a hard one, especially with all the new restaurants that seem to be constantly popping up across the city. 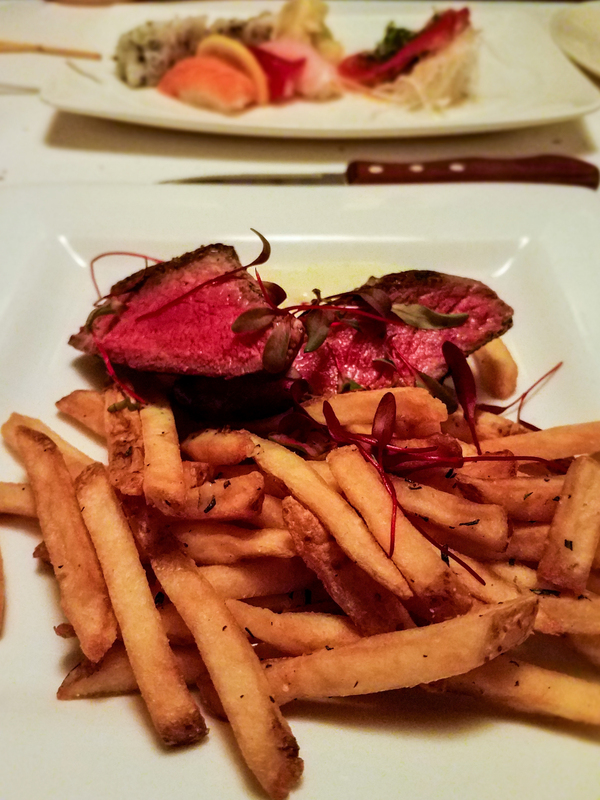 This time around, I decided to pick a classic favorite of which I’d heard nothing but glowing reviews: Willy’s Steakhouse Grill & Sushi Bar in Shrewsbury. The restaurant is perhaps made famous by its well-known chef, Kenzo Phan, a locally known culinary personality and Vietnamese immigrant who began demonstrating his sushi expertise at Willy’s in the late 1990’s. Upon entering Willy’s, it becomes apparent that this restaurant fits the bill of a “special occasion” location. The ambience is built on exposed wooden beams and modern decor and reinforced by moody lighting and gentle background music, creating a dining room both comfortable and chic. The candlelit, semiprivate booths provide the perfect setting for any date night—ours was decorated with a framed painting, “La Connoisseur,” by Cape Cod based artist Michele Kennedy. After thoroughly soaking in our surroundings, the process of selecting our three-course meals from the restaurant week menu began. Resolving to take advantage of both Willy’s traditional Japanese and classic steakhouse offerings, we ordered an item from each style for the respective courses. 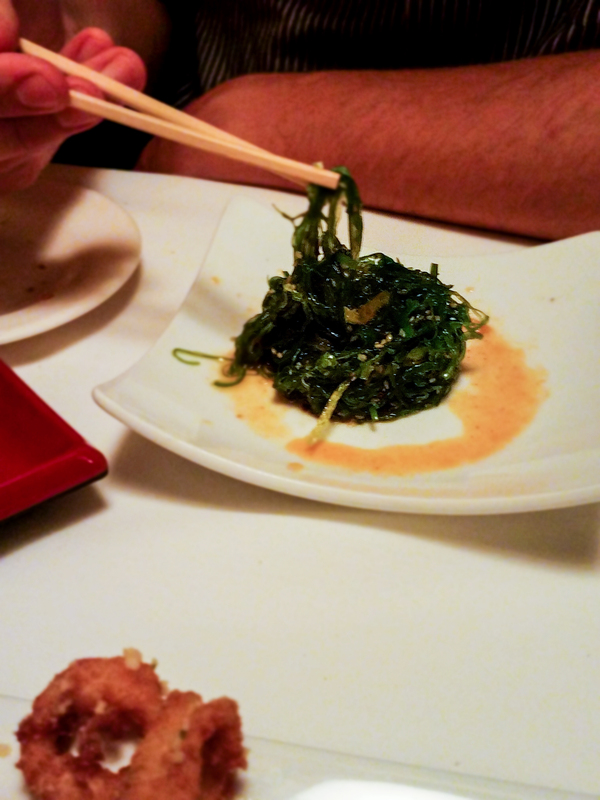 A smaller version of your classic seaweed salad: crisp and crunchy, studded with sesame seeds, and offering a perfect balance of sweet and sour. A crisp wedge of iceberg, onions and tomatoes smothered in bleu cheese and topped with smoky crumbled bacon. The sushi plate arrived attractively plated in a rainbow of garnishes and brightly colored fish. Three pieces of tuna were sliced thin with just the right amount of sear around the edge. 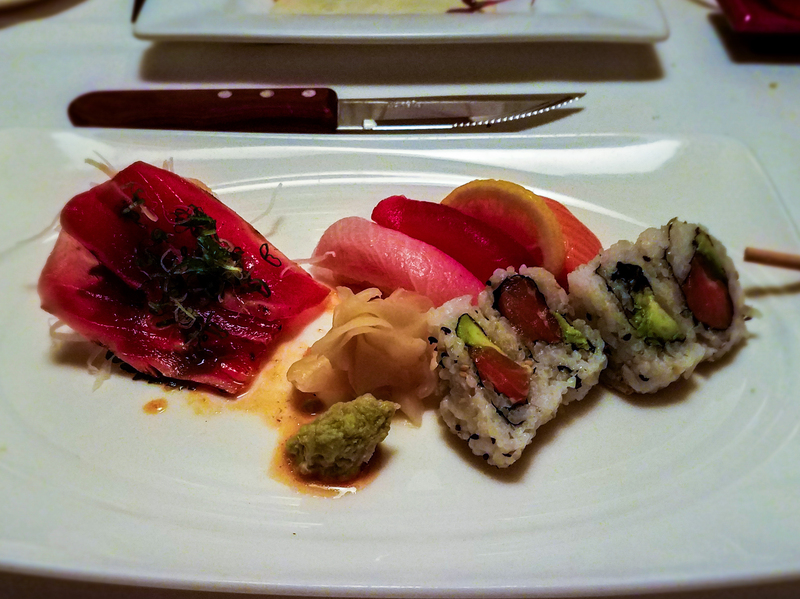 The salmon avocado rolls were wrapped with perfectly cooked and seasoned sushi rice, and the four pieces of nigiri sushi confirmed that all the fish on this plate were fresh and expertly cut. The only thing to be desired after finishing the course was a taste of Chef Kenzo’s more creative sushi rolls, which will probably warrant a return trip dedicated to that purpose. The 7oz sirloin was purportedly cooked in a coffee rub. We found that while creating a delightfully crisp exterior, the coffee flavor did not especially come through. This wasn’t a complaint on our part as it allowed the taste of the meat to shine through and play nicely with the earthy gorgonzola cream and bright rosemary frites. The steak was cooked to a tender, pink medium rare as requested. 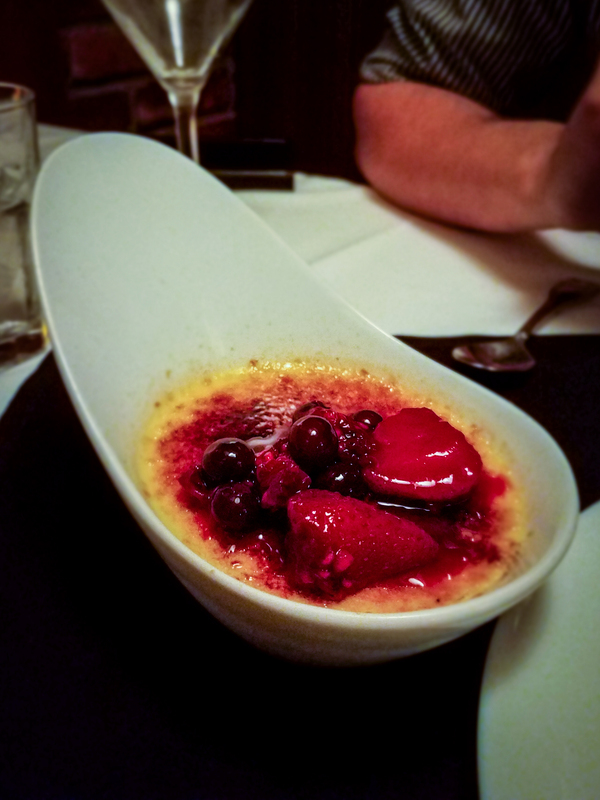 A well-executed, classic crème brulee. It’s hard to beat a creamy vanilla custard topped with berry compote and given depth of both texture and flavor with shards of toasted sugar. A dense buttermilk chocolate cake was balanced by a fluffy chocolate mousse that melted away the moment the bite was taken. The dark chocolate ganache tied these two textural opposites together and created a dessert somehow light-yet-rich; decadent yet not-too-sweet. We walked away from the meal content and without complaint. The service was consistently swift and hospitable, from hostess to waiter to busser, and the atmosphere could compete with any eatery in the Worcester area. Each dish was a professionally executed classic, and I would return happily to explore more of the menu knowing that any dish would be a safe bet. If you’re on the fence about where to dine this edition of Worcester Restaurant Week, Willy’s Steakhouse is a great option, and a tremendous value with the WRW prix fixe deal.